... at least not right now. Sigh. You may remember that I was all excited, having signed up for a Beginning Quilting class at Spool. It was a five-week course that started on January 10, and I was really looking forward to it. And I was anxious to report on it here. Well, as you have probably guessed, Pneumonia = No Quilting Class. No way could I have made it to the first or even the second class, I was so sick and out of it. And to be honest, even tonight would not have worked out that well, as I'm doing better but not that great. The good news? Another session begins February 21. Let's hope that a) it's not filled up already, and b) that I am so much better by then, there's no question that I can take the class. If not? Someone will pay. Don't say I didn't warn you. When my niece Amanda and her husband were here over the holidays for a visit, we were discussing New Year's Resolutions. I said that rather than saying I MUST do _____, I wanted to try in the coming year to "do everything better." Meaning that I wanted to try and be more mindful, try harder, and improve myself more, but not so drastically that it would be unpleasant, impossible, or just plain ridiculous. Things can be "better" without having to be the BEST all at once. With this in mind, I read a lot of articles, blog posts, and other things about setting realistic goals, and I came across something I decided to try. One of the blogs I read had this post, where she talked about something she tried last year called One Little Word. She chose the word "Joy" and the post talked about how she kept herself on track over twelve months. I remembered reading her post about choosing "Joy" last year, and was glad that she followed up - and then decided to try again this year, choosing the word "Create." The site for One Little Word is here, and apparently you can sign up for a one-year workshop type of thing. Which is fine, but I decided to try and do this on my own. The premise of it is that you choose a word. One word. Then you focus on that word for a year. No resolutions. No this-and-that. One word. I've chosen "kindness" for my word. I want to see if I can be a kinder person. It's easy for me to be kind to animals, and to others who are nice and kind to me, but I want to see if I can make kindness something I just DO. Because it's suggested that you have prompts for yourself, I bought myself this necklace to wear, and this poster to put over my desk. (I often have the hardest time with kindness at work.) I don't expect to become Rebecca of Sunnybrook Farm (nor do I want to do that! ), but perhaps I can become a person who, though cynical, can still have kindness be an important part of my life. Did I NEED the necklace or the poster? Well, I'm sure I could survive without them, but I wanted to give myself some serious prompts, and spending money made me think about how much I'm going to try and commit to this whole idea. So here I go, and we'll see how I do. What about you? Any plans, goals, or resolutions that you are trying this year? OK, so I feel good enough to write a post. But I realized that before I got to any of my 2012 ideas/plans/goals, I wanted to tell you what I read at the end of last year. I tell you, this pneumonia has me not just feeling behind on things, but trying to figure out what is what - like I needed to be more confused! November and December were not major reading months, in that I spent a lot of time working on Christmas and birthday gifts, and getting things wrapped and sent to their respective recipients. Which usually means I'm more likely to catch up on my magazine reading, since I usually don't mind reading them in an extremely piecemeal fashion. But I did read some books, and thought you might want to compare notes, if you have read any of the same ones. Let me know if you did, and if you felt anywhere near the same way that I did about them! The Widower's Tale, by Julia Glass. I had an Advanced Readers' Copy of this book, but had not even thought to read it until last week. I don't really have a specific reason, it just didn't mesh with my radar when I'd look for something. But for some reason, I decided it was finally time. This is the story of Percival (Percy) Darling, who has been a widower for some time as the book opens. Retired from his job as a librarian at the Widener Library at Harvard, he is quite content to be living alone, quietly, and privately. Well, that's about to change, since the barn on his property has been converted into a preschool, meaning children, parents, and the accompanying challenges are now right at his back door. Percy is an odd duck, and he gets along better with his oldest grandson than with either of his grown daughters. Each person in the book, from relatively minor to major characters, has a life crisis/change/challenge at some point, which changes their relationship with each other and with Percy. I found the story pretty interesting, though I think Percy was kind of a pain. Being a librarian, I have met other ones like him, that feel they are smarter than everyone else, just by virtue of the fact where they are employed. His family consisted of not necessarily unique types, but each one had their own appeal as well as their own faults. One part that annoyed me was Percy's younger lady friend, Sarah. Of course, they gave her breast cancer, and it was made more tragic by the fact that she had a young son. Not that the same situation doesn't happen every day in real life. But it seems that fiction is filled with women who have breast cancer, as opposed to heart disease, or even any other kind of cancer. Seldom does it make the book any better, in my opinion, and it just seems manipulative. This could be, of course, because of how I feel about the way many people react to breast cancer, but still it seems that if there's a woman in the story - and particularly if she is a mother - then she is gonna get breast cancer. Kind of like a dog in a horror movie - you know it's just a matter of time until the dog gets killed. Overall, the book was well-written and it was interesting enough. I didn't really get too emotionally invested in any of the characters, but at the same time, they seemed much like people you may come across on any given day. An Orange from Portugal : Christmas Stories from the Maritimes and Newfoundland, edited by Anne Simpson. A couple of years ago, I was looking for Christmas-themed books on Amazon, and came across this title. Now, I am fond of Canada in general, but I have truly fallen in love with Nova Scotia and Newfoundland. The idea of a book of Christmas stories from this area was so exciting to me! However, rather than buy and read the book then, I just kept it in my shopping cart. I'm not sure why, but this year, I decided it was time to buy it. I'm so glad that I did! One thing that frustrates me is that there are so many good writers published in Canada that we here in the States either never hear about, or whose work is really difficult to track down at bookstores or libraries. Please note that I am not saying that all Canadian writers are wonderful, any more than I would say that all American writers are wonderful - just that there's plenty of worthwhile Canadian literature that's ridiculously hard to find when they are our northern border neighbor. Anyway, this collection of stories is really enjoyable. Some are based on myth and tradition, some are poems, and some personal reflections. And of course, just plain, regular fiction. The best thing was that none of them seemed terribly formulaic, or even manipulatively sentimental. It was fascinating to read about various practices, beliefs, and traditions of the populations of these areas, that in some ways were so familiar, but not really. I can see myself going back and reading these stories again and again at later Christmastimes. They were absolutely perfect for this time of year, and some of them I think would be amazing read aloud. I highly recommend this book to those who like Christmas-themed stories. A Holiday Yarn, by Sally Goldenbaum. I've read on some blogs where people had been reading this series (The Seaside Knitters Mysteries), and when I saw this at the bookstore and it had a holiday theme to it, I decided to use the rest of a gift card I'd been carrying around to buy it, and I'm so glad I did! The Seaside Knitters are a group of women who live in Sea Harbor, Massachusetts, not far from Cape Ann. A varied (and not stereotypical, THANK GOD) group, they are proud of their community and their families. At the beginning of this book, a former resident of the community, home for the settling of her grandfather's estate, is murdered right in front of the family home, which her cousin, who inherited the property, hopes to turn into a B&B. The story goes from there, and the Seaside Knitters - one of whom is the person who inherited the property - try to close in on who may have committed this crime. There are plenty of suspects, including an elderly woman who has made it her mission to stop the B&B from coming into existence, a flashy former male model who had been humiliated in public by the deceased, and the young man who is to be the new cook at the B&B. I really enjoyed this book. The writing is well-done, evocative of place and time, and the characters actually have some development. In this book, the women doing the investigating happen to be knitters - but they are also quite varied in their backgrounds and other interests. The story is enjoyable without being sappy, and the suspense keeps you going. I will definitely try to find more in this series, and hope that I will have found a new group of people to visit now and then. I can hear those of you who know me sighing, since you know that I love to read seasonal books, especially those that take place at Christmastime. But this turned out to be a good group of stories, each different and enjoyable in its own way. For anyone interested, I am happy to offer A Widower's Tale and A Holiday Yarn to anyone who might be interested. Leave me a comment letting me know which one/ones you are interested in reading, and if there are more than one person interested in a book, I'll pick a name at random on Saturday morning, January 21. Which means that you have until the end of the day on Friday, January 20 to let me know you would like either/both books. Hi there, just checking in to let you know I'm still here. Feeling awful, though better than a few days ago. Thanks for all of your kind wishes for my recovery. 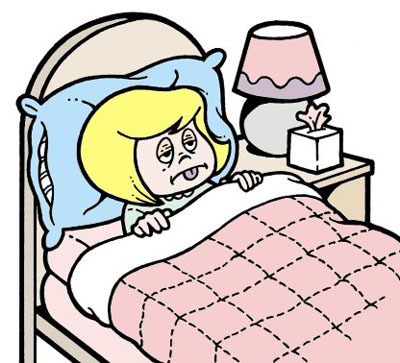 Nothing to report, I'm feeling too lousy to knit or to read much, so you know I'm really sick! I'll be back soon (hopefully)! Please play quietly amongst yourselves, I'll see you in a few days. I made this mosaic of my 2011 craft projects (called so because one of them - the wreath - is not knitted, though technically it used knitting yarn to create), and though they are few, I'm pleased with all of them. I was thinking that it seemed that I did more, and then I realized that two projects I was working on were sweaters that are still in progress, as well as the Graydon socks, which I haven't finished, because I'm not sure I like them that much after all. They are in a time-out at the moment, until I feel like picking them up again and deciding. In the end, they may be frogged and turned into regular plain socks, but that's a decision for the [probably near] future. I'm in the process of deciding what projects I want to focus on for 2012, and how I want to approach things. Remember I said I've been giving some thought to a lot of things for this year? Well, that's one of them. I feel like I'm getting myself organized with a plan, which always makes me feel good about anything. 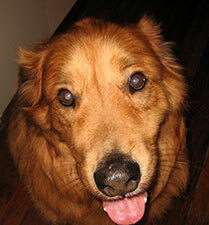 As of approximately 6:30 p.m. this evening, Dug the Dog is OUR boy! Here we are, four days into 2012. I'm getting over a killer cold, adjusting to having to actually go to work on a regular basis again, and trying to decide what's what. I've spent the last week or so doing a lot of thinking about things I've been reading, and listening to, and have some ideas for the what/why/how/where of myself for the coming year. Over the New Year's weekend, my niece Amanda and her husband Patrick came up from Baltimore for a visit. We had a nice time, and as we were walking Dug the Dog on New Year's Eve, we were discussing New Year's Resolutions. I said that after a long time, I've realized that resolutions need to be realistic, and it had really changed the way I decided what I wanted to try and do for any given year. This year, I decided I "wanted to do better at everything." Meaning that I want to be mindful of what I am doing, and how I can be better at it, while not making myself thinking that I need to be the BEST at everything. There are some things I do very well, thank you very much, but there is always room for improvement, no matter how small. Since then, I've been reading what others have to say about resolutions/goals/ideas - whatever you want to call them, and though some of it is the same old crapola, I did come across some things that resonated with me. And those things seem to be sticking with me, so in the coming posts, I'll be sharing the things I want to try this year that I'm feeling excited about. I shall try not to get preachy, or sound superior, or bore you to death with my philosophical musings and decisions. But I thought you at least deserved a warning that they would be coming along, so you can plan your blog reading - or not - accordingly! Yep, they are varying yarns and colors, but they are all the Fetching pattern. Kinda sorta last-minute, I decided that I wanted to make fingerless gloves for each of these nieces. At first, I decided that I'd use four different patterns. Then I thought about it, and realized that it might be better to give them all the same pattern, just different colors/yarns. That way, it would not seem that so-and-so got a nicer pair. The other thing was, I had to have enough yarn already in my stash - no new yarn would be bought. I checked, and realized that I had some really nice stash yarns that would be enough for four pairs, and I was off! I sorta became a Fetching knitting machine - as a matter of fact, by the time I reached Pair #4, I had the pattern memorized! But because they are quick, and interesting, and each one used a different color and/or brand of yarn, I wanted to see how they turned out, which definitely kept me knitting. 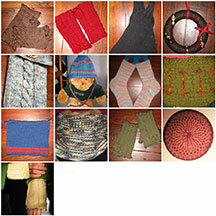 If you are interested in details, the information is all on Ravelry. There are two more gifts I'm still finishing - a cowl for my friend/temporary boss, Clare, which is really more of a Thank You Gift than a Christmas gift, and the second Dashing for The Tim, originally meant to be for Christmas, but not thought of and/or started in a reasonable amount of time (at least not for the way I knit!). I guess those will have to be the first FOs of 2012. Sigh. So close and yet so far. But it's not a contest, and I want to do things better, remember? So it will be all in time, and it will be fine. What are YOU up to for 2012? ?